Receive $1 shipping on NEFT products. Use code SHIPNEFT upon checkout. Expires Monday, December 31, 2018. Cannot be combined with any other promotion. NEFT Vodka – Russian for oil – is new ultra-premium vodka to the US that is packaged in a unique, specially made oil barrel. Pure Alpine spring water and the best quality grains are the basic ingredients for its wonderful, natural taste. Please Drink Responsibly. This product is only available for delivery in the following states: CA, NJ, NY. 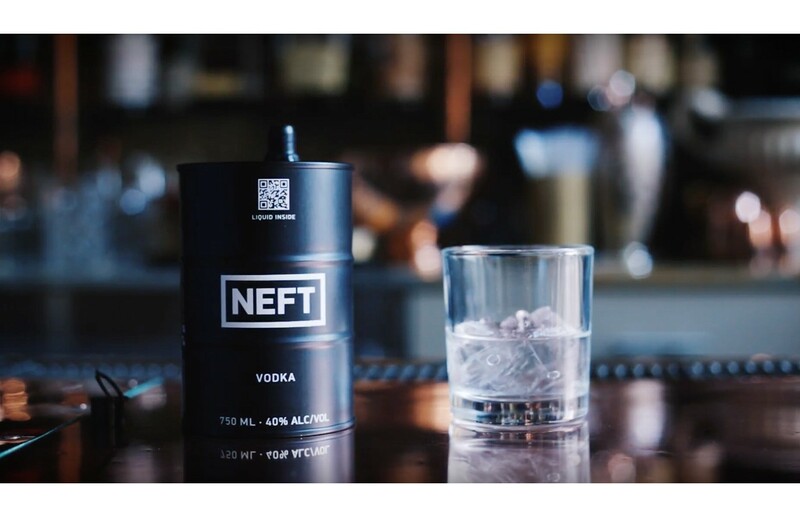 The founders of NEFT are Russian where vodka is part of life and culture. The iconic NEFT BARREL was created by a petroleum engineer who wanted to celebrate the industry of hard workers by giving them an amazing distilled spirit, the way it should be. The founders took their formula to Austria, known for high standards in quality and precision, where Russian vodka expertise united with the best ingredients of European rye grains and local Alps spring water. NEFT is produced at the source in small batches, according to their vision, knowledge and experience. Multiple distillations as well as a special double-filtration technology are used to produce NEFT Vodka to guarantee consuming this spirit at the highest level of quality. For the True Spirit Aficionado. Drink it Neat or on the Rocks then make a Martini. Inspired by an elegant and unpretentious style.